Owned and operated by Matthew Clark, M.C Glass & Glazing is a South Australian family owned and operated business which has over 22 years of glass and glazing experience. M.C Glass & Glazing can handle any glass or glazing problems you may have, but more specifically, specialises in Replacement Windows, Glass Splashbacks, Mirrors, Shower Screens, Glass Tabletops and Pet Doors. Matthew has always put customer service at the forefront of his mind and this has been the foundation on which M.C Glass & Glazing has been built. 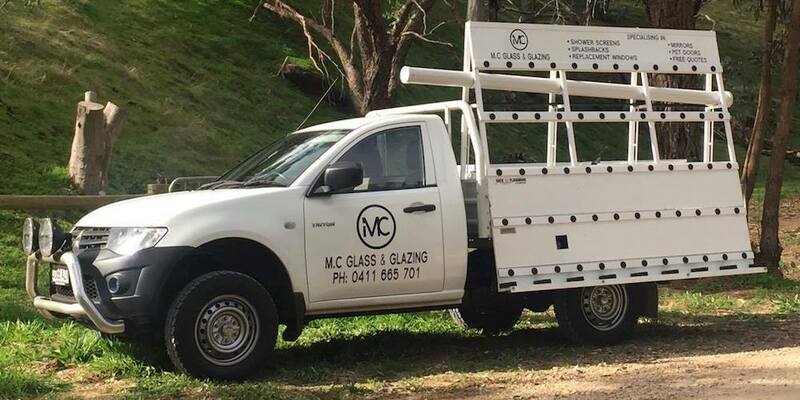 Covering the entire Adelaide Metropolitan area, it is at the core of M.C Glass & Glazing’s mission to provide immaculate customer service and satisfaction. Being a family owned business, M.C Glass & Glazing understands the pressures of today’s world and will always provide top quality work at a fair price, which won’t break the budget! M.C Glass & Glazing is your go to Adelaide Glazier. We exist to help you. Get in contact with us today via phone, email or our free quote form and we will get back to you as soon as we can. Oh and be sure to give the team away if you see the M.C Glass & Glazing truck drive by! Matthew has over 22 years of industry experience and has worked with some of Australia’s largest glazing companies. Matt has drawn on his experiences with to create M.C Glass & Glazing, a family owned and operated South Australian business. Matt is constantly keeping up with all things glazing and is the go to guy for any industry news. When Matthew hangs up the tools for the day, he enjoys spending time with his wife Leanne and 3 boys, Mitchell, Fraser and Kade. Matt is also a one eyed Carlton Football Club supporter and is known to enjoy a game of darts on the weekends.